Ylva Nordin Lena Bogegard Hanna Norman and Daniel Sjoberg. 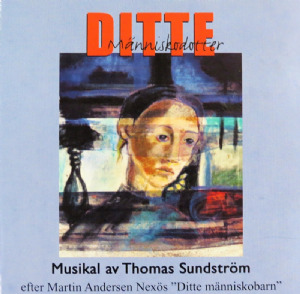 2001 Original Swedish Cast Recording./Ditte invented nothing, but she did good. Ditte learned that this is not always rewarded./span class="notranslate" She teaches us that a fellow human kindness gives moral meaning and God a face./span class="notranslate" Can we see what we hope for us in Ditte.In this small but strong woman who cares about life in cold spaces./span class="notranslate" BondtÃ¶s, maid, one of the thousand million walking past us ... now ... now ... in every second. This is their musical.